The changing collaboration landscape is difficult to traverse. But the demand for seamless, full-featured, OTT (over the top) communications is surging. What are you doing to future-proof your offerings? From the forest to the summit to the cloud and beyond, Compunetix has the portfolio of products, services, and partnerships to completely customize the ideal solution for your service provider business. We’ve been working closely with CSPs for over 20 years while many of our competitors have come and gone. We invest in research and development to continually provide advanced solutions, are active participants in helping to share the future of the market, and we truly believe that service providers are the backbone of collaboration. 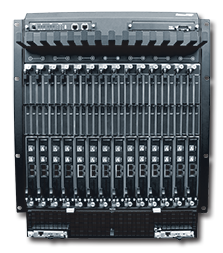 Beginning as the vision of our expert engineers, the Summit Olympus has evolved into a landmark audio conferencing platform in the Compunetix product line. 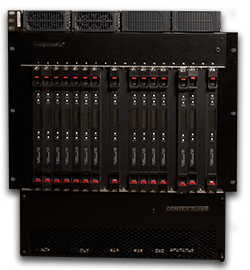 Housing a complete collection of upgraded hardware components, the Summit Olympus features unprecedented scale and improved system performance while maintaining the rich feature functionality of CONTEX system software. We’re the experts in turnkey video collaboration – our Total Solution Portfolio brings together all the elements of full-featured communications for the service provider. The video centerpiece is our EVERGREEN family of platforms; MCUs that meet the diverse needs of your demanding customers. The systems are high-capacity with robust security and advanced processing capabilities with extendable scalability. Providers can take advantage of the multi-tenant capabilities that enable cloud services quickly and efficiently, and any make or model of endpoints can be used in mixed high definition and standard definition calls. Let the specifications speak for themselves! Our community of partners comprises some of the world’s leading visual collaboration technology vendors and providers of cloud or premise based solutions. With our partners a complete ecosystem of products and services that improve productivity and build relationships are available. Compunetix has always provided interoperability and integration, the goal with our partners is to continually improve on this objective. Join our community to find your solution. Introducing our Companion Cloud offering – the robust capabilities of hardware MCUs have been seamlessly integrated with the power of the cloud to provide a flexible, IP-based video collaboration solution. Companion Cloud offers per port flexibility, unlimited availability, and is endpoint agnostic. If you’re ready to innovate, you’re ready for Companion Cloud. Whether you are working at home, on the road or just moving around the office you still need to connect and collaborate. Compunetix has a wide variety of expanding offerings that can take your services on the road and into the clouds. To learn more about Companion, our software audio/video endpoint, click the link below. And for additional info about our growing number of mobile solutions, watch this space!